Producers and those in the channel are learning and making decisions every day using their preferred mediums. A strong go-to-market strategy must include multiple tactics that work across mediums to move decision-makers and influencers from awareness to adoption as quickly as possible. As social and mobile capabilities increase, so does the use of these platforms by decision-makers in our industry to get the information they need. Smart phones have changed the flow of information, and we all know that most folks in the ag industry have some sort of social media account. 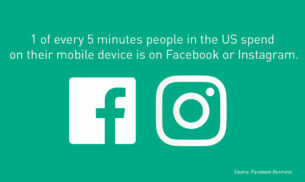 In fact, 1 of every 5 minutes people in the US spend on mobile is on Facebook or Instagram. 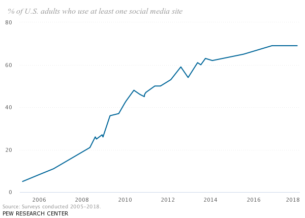 Countless studies have verified that digital, including the use of social platforms, will continue to be a part of a strong go-to-market strategy. Studies have also confirmed that marketers will invest in quality over quantity. With this in mind, a successful go-to-market strategy in ag must include digital tactics to reach the target audience to inform and engage decision-makers and influencers. However, one size does not fit all – especially in our industry. We have engaged with more than 60,000 ag professionals on social platforms the past 6 months, and the following illustrates what we have learned. Time of day engagement is predictable. It’s not surprising, but no one was checking out our content before 6 am. Times of engagement were like clockwork: a few early morning checkers, a burst at noon, followed by a slow crescendo until 5 pm. From there we saw engagement increase again at 5 until we peak around 8 pm for an hour or so, and then we taper off until those early morning checkers wake up. The bottom line: like we already know, folks in ag have pretty big day jobs. They may receive content at noon or late afternoon, but between 8 and 10 pm offers the best window to get their attention. Social campaigns are easy to measure. Compared to more traditional mediums, social campaigns allow for engagement and two-way communication when intentionally planned and monitored, which should aid in relationship building. Also, these campaigns are easy to measure in terms of who’s viewing, reacting, or engaging with content. The right analytics allow us to see where decision makers are in the buying process, and what kind of content or follow-up they need to keep moving them closer to adoption. Social media isn’t just for the young ‘uns. 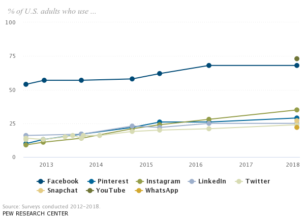 Social media used to carry the connotation that it was just for Gen Z or millennials, but the fastest growing demographics on social media in recent years have been baby boomers. In fact, boomers are 19% more likely to share content compared to any other generation. While we’ve had some variation depending upon what kind of campaign we were running and who we were targeting, the ages of 55-64 never failed to represent; they are consistently either the top one or two demographics to engage with us. Social platforms make it easy to get super-targeted. There are a lot of ways to drill down and display content to certain segments within ag. We use our proprietary AG IQ Intelligence to get as granular as possible with both with our targets and our message. We’ve found that a super customized piece of content targeted to the right decision makers will almost always drive action of some sort that we can measure. Overall, we are excited about the opportunities to engage and share content, all while learning more and more about the behaviors and preferences of those in ag. Here’s to the next 6 months of learning!